Exhibitor of shown Lip & Love bars. 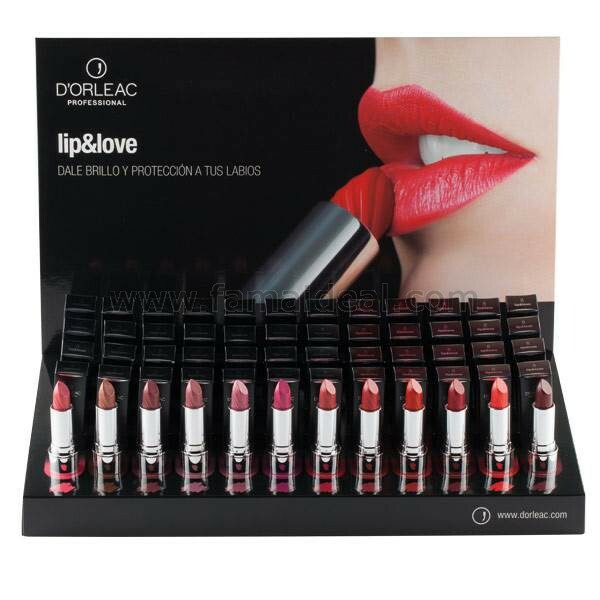 Counter display made of cardboard designed to expose the complete line of Lip & Love lipsticks. It allows to store in an orderly manner 48 lip bars for sale. It has a band indicative of the color where the testers are placed.